The beautiful fall colors and the shocks of wheat are a great fall addition to any collection. 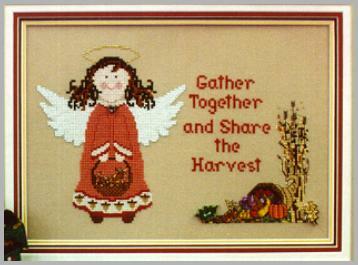 'Share the Harvest' can also be made into a separate door hanger pillow for the holidays and leave the Angel out. Heart and 2 fall leaf buttons are available - click for buttons.